Our sable girls are all named after the moon: Luna, Celina, and Thea. First, because they were born by moonlight! Secondly, they are dark now, but they will all grow blonde like their dam and sire. The moon girls are waking up and playing and exploring their world. Such sweethearts! 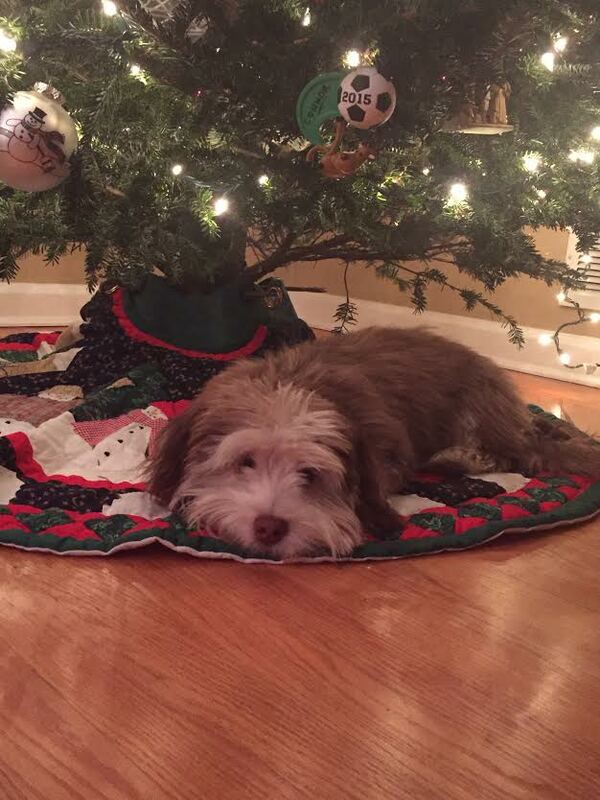 Our Havanese are well socialized with all ages! Here are two of our grandchildren loving on our puppies (under careful supervision!). Godiva (white bellied girl in the middle) has found her forever home! Congratulations to Jenn. I am so very happy for your choice!! 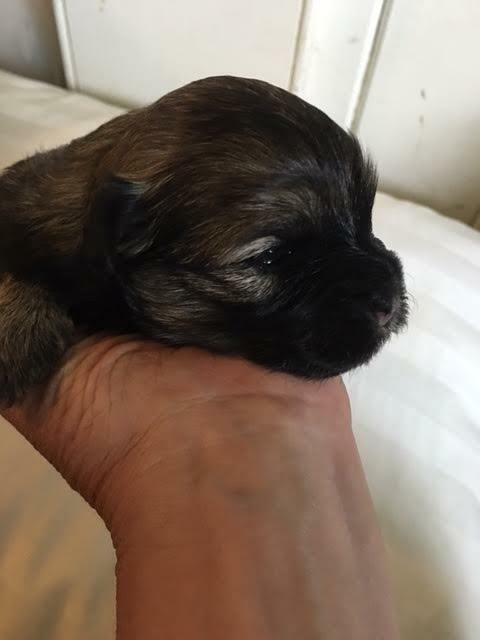 Our little girl will be going to her new home the first week of August. We will take wonderful care of her until then. Hopefully our little pups will be fully potty trained by then! Lindor Lindt will be just like her gorgeous sire. She is a deep dark chocolate color with tan around her eyes and nose. She has tan and white socks. Lindt is the smallest of the three, but just a affectionate and calm. Siena and Bruges have welcomed their first litter in our home on June 27, 2016. Three tiny girls. 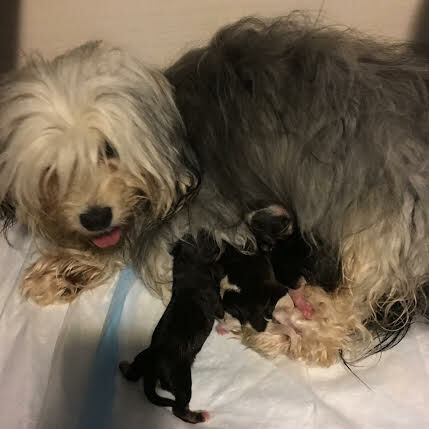 These Havanese will be sable, lightening up to a champagne blonde hair color.Puppies will be available for adoption on August 27th. Please contact us if you have any questions! A friend recommended DaySpring Havanese to me and I could not be more pleased with my experience. 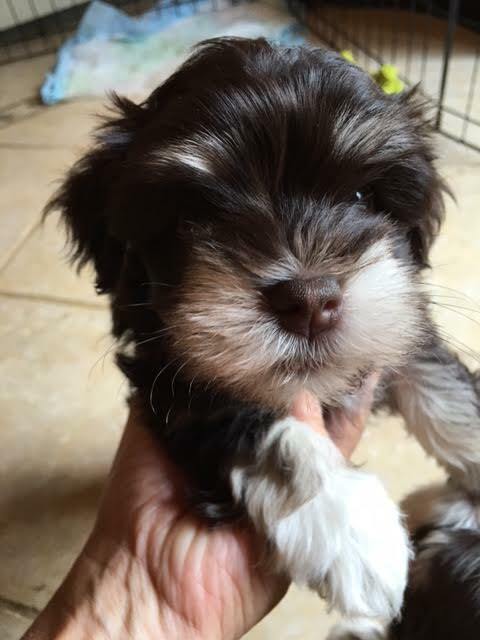 Dawn is a fantastic breeder who is extremely knowledgeable about the Havanese breed. She treats her dogs and puppies with utmost care and endless love. She allowed me to come visit my puppy, Sophie, whenever I wanted to start bonding with her. She would also send pictures and update me on her progress. When I came to take Sophie home, Dawn provided me with all the essentials that I will need: a crate, toys, collar, harness, brush and food. Sophie already had her first round of shots and a certificate of health prior to taking her home.